Annenfeld Village is a new residential development located only 25 minutes from Winnipeg and 13 minutes from Steinbach in the town of Kleefeld. This is the right opportunity to escape city noise and enjoy the vast prairie sky every day. 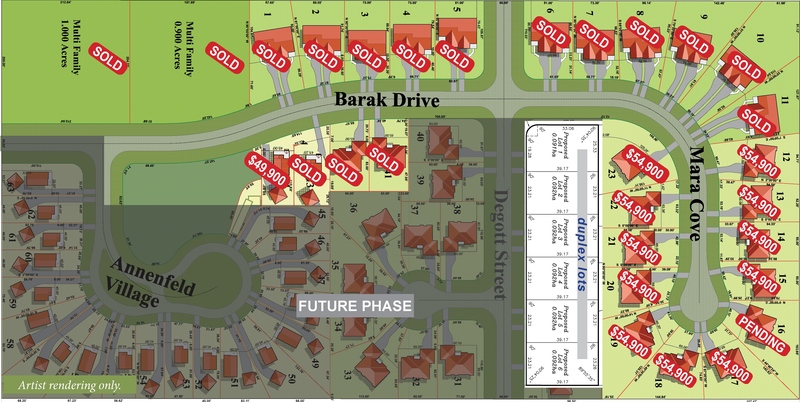 This development is comprised of 70 building lots just off College Avenue in Kleefeld. Annenfeld Village in Kleefeld offers an affordable place to live with many beautiful homes, a school, park, playground, grocery store and eatery and more. Join a thriving community, in a safe and peaceful environment with amenities close by. Take a leisurely walk to the park, have a BBQ with your neighbours, join in the excitement of the summer Honey Festival and chili cook-off or simply enjoy the unobstructed sunsets with your loved ones. Lots will feature municipal town sewer and water, full underground services and paved streets. All this at an affordable price, with the ability to enjoy the simple life, appreciate your surroundings and dream. 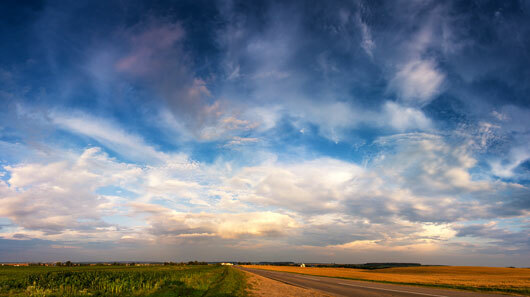 Enjoy the sky views on your easy highway commute to Steinbach or Winnipeg. Less traffic and a safer place for families. Opportunities to get to know your neighbours at soccer or baseball games, the town festival or the parade. 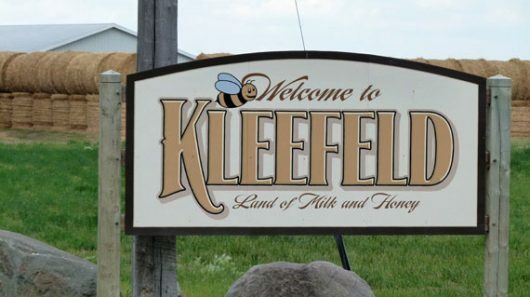 Did you know Kleefeld is often referred to as the Land of Milk and Honey? There are actually honey farms surrounding Kleefeld. The streets are paved and some families have already moved in. There are also homes already under construction. You need to start construction on your home within 2 years of purchasing the lot, and once you start you have 1 year to finish your home. Yes, you can choose any builder you like, but you will need to follow the Design Guidelines. The main purpose of the Design Guidelines are to ensure a beautiful neighborhood. The guidelines cannot cover every architectural style, but the developer can approve a beautiful non-conforming plan. Please submit your plans or ideas for pre-approval. Annenfeld Village offers municipal town sewer and water, full underground services (phone, internet) and paved streets. Yes, you can have a detached garage but no open carports. No, the streets are paved, but it isn’t a requirement to pave your driveway but you must use the following permitted materials for driveway: interlocking pavers, cast-in-place concrete or asphalt. Yes, the minimum size for a bungalow is 1150 s.f., for a bi-level it's 1000 s.f. and for a two-story home it’s 1800 s.f. (excluding garages, porches, and decks). Yes, garbage pick-up and recycling services are provided by the RM of Hanover. Annenfeld Village is in the Hanover School Division. There is a K-8 school right in Kleefeld. For grades 9 – 12 your child would attend high school in Steinbach.